Printed laces are clever fabrics because they combine two separate design elements to deliver one unique product.. Imagine a floral lace overlaid with an animal print, or a delicate lace with printed foil, and you're on the right track. One of our most popular products is our bubble lace, design 3009. The base fabric is a bright white lace that has been printed on with a colourful floral ditsy print, creating a playful, fun Summer fabric. It's ideal for Spring/Summer garments as well as childrenswear and lingerie. Product 5698 is a gorgeous lace featuring a trio of flowers that has a foil print which delivers a subtle shimmering effect. This makes it an ideal fabric for evening and ocassion wear, but would also work well in costumes. 6498 is our bold leopard print stretch lace. The eye catching design is the perfect thing when you want to give your garment the wow factor of a print, but the functionality of a lighter lace fabric rather than a heavy cotton or jersey. 6078 is the perfect monochrome statement lace. It's more subtle than our animal printed laces, as it sticks to florals, but it still delivers the wow factor with the contrasting colours. It's also available in Black/Red. Browse our entire collection of Printed lace today and discover Missioni knits, bold florals, tie dye effects, metallic shimmers, sequined printed laces and more. 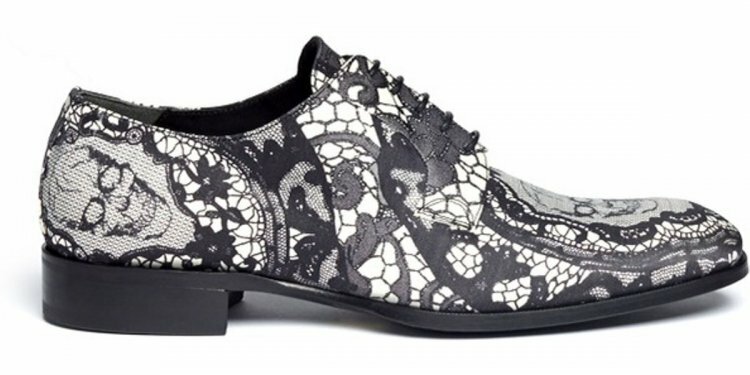 Choose from over 72 inspiring printed lace designs.